In this article I will tell you why you should not give money to children on the streets in poor and developing countries. Actually, why you shouldn’t give anything at all to children on the streets. Even though it feels as if it’s the right thing to do. In Nepal I saw a little boy, who was about the same age as my little nephew (2 years), and I wanted nothing more but to help him. I gave him my breakfast and I gave him my bottle of water. He was walking with two bigger children. Why didn’t they help him carry that big bottle of water? He could barely carry it, as it was half his size. Although I knew I shouldn’t give money, as it usually ends up somewhere else than his pocket, I thought giving food wasn’t a bad thing. I had even made sure the bread I gave him was in a unsealed package, so he couldn’t sell it back to the store – another thing that happens a lot. He needs to eat right? It felt so nice to help him. Little did I know was that I wasn’t helping the poor bugger, but I was only making myself feel better. In fact, it’s not helpful to give children (doesn’t matter how young they are) in the street anything; money, toys, candy or healthy food. To be precise, you’re only making the problem bigger as it is. We are solely keeping the cycle of poverty alive. When you’re giving something to a street kid that is either begging or selling something on the street, you hope that your money will go to something useful. For instance, maybe you’re making it possible for the kid to go to school, buy a meal or drink. However, giving money, candy or food isn’t a solution. For instance, when I gave that kid my breakfast the best case scenario is that he ate it and had one good meal. So what? This is only a short-term solution. That way I was showing him that he can get food just by asking for it. What if he gets older? By giving to street kids we are keeping them poor for the rest of their lives. Children that actually have the possibility to go to school think it’s better to work on the streets, because they actually get (better) food and they get money. Even their own parents sent them on the streets, because they see that their kid is bringing in a lot of cash by begging. This also means that they are more vulnerable to criminal organizations on the streets. By giving money to children on the streets, we are often funding people that are forcing those kids to beg in the first place. Children on the street are not only more vulnerable to physical, emotional and sexual abuse. There are even large criminal organizations that force children to beg on the streets. Basically this is funded by people that want to help those children. It’s a huge problem in for instance India – ever seen Slumdog Millionaire? But also in a lot of other poor and developing countries. Each year thousands of children disappear; they are kidnapped and forced to work as beggars for criminal groups who profit from everything they collect. The children won’t get anything fruitful from the collected money, as it’s best for them to look as unfed and miserable as possible – this makes the tourists more sympathic toward them and give more money. Being a disabled child is even better. Thus, the criminal organization cuts the child eye out, they ampute a limp or other unimaginable things. If it’s not a criminal organization, it can also be the parent’s that are forcing the children to stay on the streets. It feels really bad to ignore a child that is asking you to help him or her, especially when they look worn down and hungry. Luckily, there are other ways you can help than by giving them what they ask for. 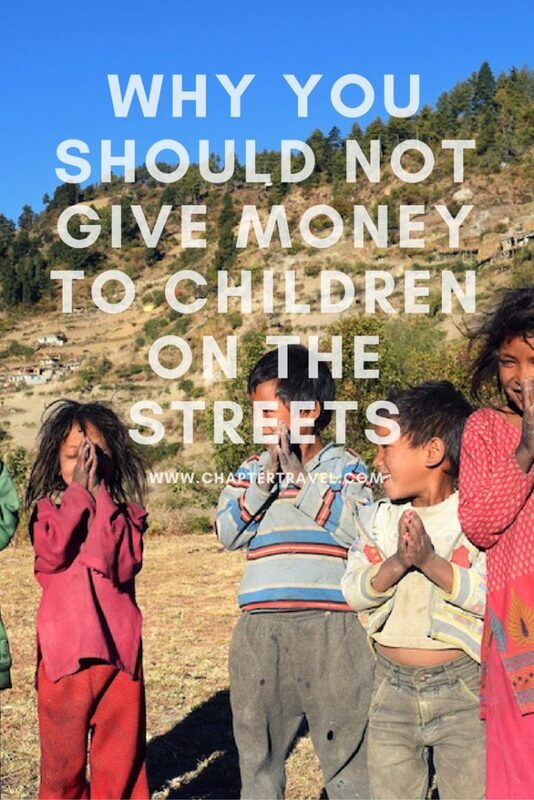 There are charities you can donate to all over the world that work with street children. There are a lot of charities that work directly with children on the streets. They sent the kids to school and keep them and their families in a safe environment. For instance ChildSafe Movement is a great organization to look into. Also, I have heard about different volunteer possibilities to help. Next time you come across a child on the streets, ignore your instinct and don’t give them anything. You’re only feeding the problem. This is such an important message and article. 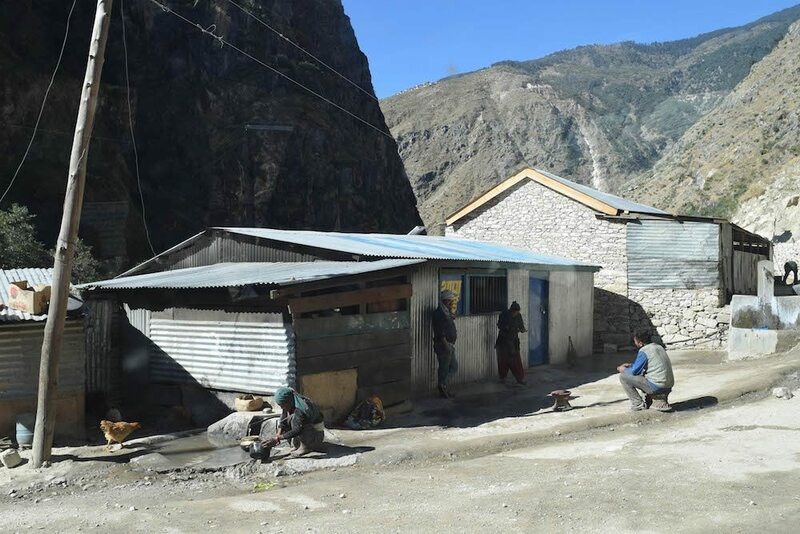 The cycle of poverty can never be broken if tourists keep fueling it. Asia was full of children being exploited for tourism in many ways by their families. Hope the goverments realize that issue and try to make a change. For long, we tourists have to start taking our responsibility! I’m glad that more bloggers are starting to speak up about ethical and responsible travel! Thanks for your input Alex. We as travel bloggers should set the example in this case. Terrible what tourism can do. I agree with you on this article. In my country, you can also see all kinds of situation like this. If you give them the money question is, are they will spend it or they would need or give somebody else.. Thank you for your comment. Yes, it’s a tough one.. This is a different perspective than I had always been raised to believe. Very interesting read. It is a hard thing to grasp and it doesn’t align with what you think is right!